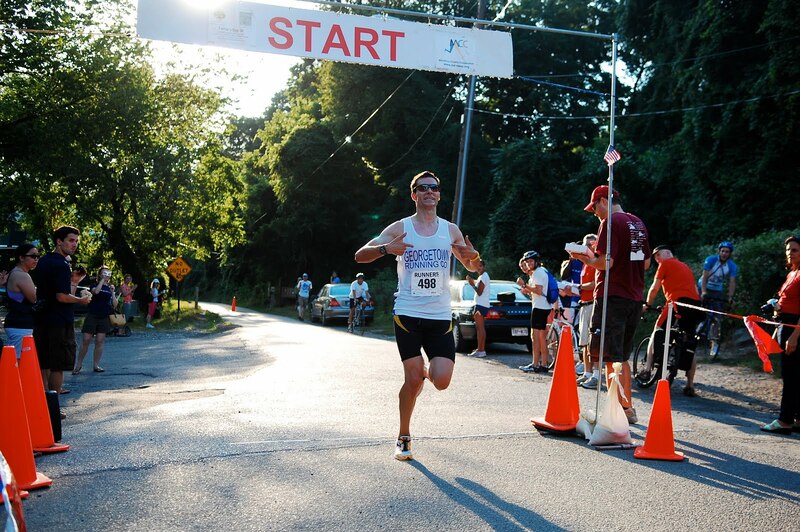 I am planning on running the USATF 10K Trail Championship on August 28th in Laurel Springs, NC. I am seeing if anyone else is interested. We need 5 for a full-team so let us know soon if you want it. We are going to need to re-register our team with the USATF. It sounds like a lot of fun, even though the course seems brutally hard. I would like to leave on Friday and drive. They have hotel and cabin-style lodging for this race. Check out the website for details. I would like to see GRC represent at this one! Here is what I am suggesting for Wednesday @ BCC. Please post if you are planning to attend. Also let us know if you have a suggestion for an alternate workout. Since we are planning a marathon style workout for the weekend, the idea was to try something quicker but still strength building. I also think Jake M will be trying to fit in a mile time trial during part of this workout. Someone should get there early to grab a table. I have been talking to some of the ladies at the Capital Area Runners about a little joint social venture July 10 (Saturday). We're still looking for a venue (though anyone willing to play host to a BBQ would be a downright hero), but if you're around, I encourage you to join in for some pleasantness. There has been a lot of talk about various marathon-themed workouts this week both for Wednesday and for this weekend. The "feels like" temperature will be in the triple digits on Wednesday so running anything too intense will be brutal. Thursday the weather is supposed to be even hotter. I'd meet for a workout/run down the CCT tomorrow if others are interested? We just need to be cognizant of how hot it is and know that our effort won't translate into good times. I've been liking the workouts we've been doing there. I propose Duel Ferries on Saturday. It's 20 miles (10 mile loop x 2) and depending on what type of shape you're in you can run anything from 10-20. More than half the run is shaded, but a good part of it is right under the sun. It's all natural terrain. I don't think we should start later than 8:30am. Some have expressed interest in pushing some of the miles late in the run. Please let me know if you are interested in running the Rockville Twilighter via email or in comments below. Towpath says: For optimal viewing, watch it in 1080p HD on youtube. 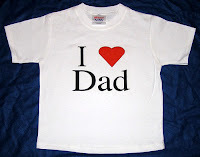 PUNCTUAL FLASH: Big Poppa Wiggy wins Father's Day 8K! GRC's own Joey Wiegner posts a stellar 24:51 on a hot, summery evening and wins (by a wide margin) the 2nd annual Father's Day 8k against a star-studded field. By the 2.5 mile mark, Mr. Wiggy had built a nearly 100 meter lead that he never relinquished. A mighty showing from one of GRC's mightiest! Way to represent on GRC's home turf! Post if you're interested. I am running an easy 10, but others might be going shorter/longer. DULUTH, Minn. (AP)—Runners from Kenya and Ethiopia won the Grandma’s Marathon on Saturday. Philemon Kemboi of Kenya won in 2 hours, 15 minutes, 44 seconds, while Buzenush Deba of Ethiopia finished with a personal-best time of 2:31:35 in the women’s event. Kenyans also won the Garry Bjorklund Half Marathon. Stephen Muange finished in 1:04:24 seconds. Muange lives and trains in Farmington, N.M. In the women’s half marathon, Caroline Rotich won in 1:12:40. She lives in Santa Fe, N.M.
About 7,400 runners were entered in this year’s 26.2-mile Grandma’s Marathon. 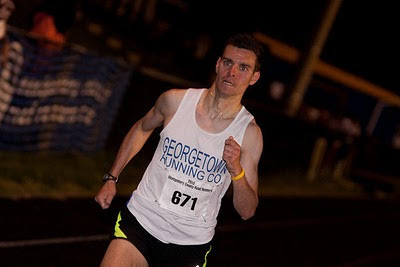 WASHINGTON (AP) - The Georgetown Running Company's own Joe Wiegner will attempt to defend home turf on Sunday evening in the second annual Georgetown Running Company Father's Day 8K. The 4.96 mile out-and-back race will start and end under the Key Bridge in historic Georgetown and is held during National Men's Health Week. The event will also feature omnipresent American endurance athlete Michael Wardian and an Ethoiopian contingent that includes Dawit Assefa (2:17 marathon PB) and Berhanu Wukaw (2:20). Wiegner comes off a 31:38 10k PR last weekend and a 15:07 5k effort less than four weeks ago. Almaz Megerssa and Keneni Orgessa are expected to lead the women's field, though rumors at time of press indicate that two former American collegians might enter the race. BREAKING NEWS UPDATE (11:28PM EST): Haile Gelelcha (13:50) and Gurmesa Megerssa (28:45) have entered the race. I called Rock Bottom (Bethesda) to see about the US game tomorrow. They will open at 10AM (game time, not sooner) and will show the game with volume and serve lunch food. For the guys coming to watch (all are welcome), is this the best option? Post a preferred location if this doesn’t work. Ideally I’d like to see the pregame and eat breakfast food, but I’m happy with volume and food of any kind. An Irish bar in Bethesda might be cool. Let us know if you coming and if you come last minute and can’t find us call me (215-859-8528). GO USA!!! Mike Wardian is doing a talk at the Chevy Chase Store at 8:30am on Saturday morning. I am going to go and then get in my long run instead of doing it on Sunday (per the FD8K). I think PMurphy is joining me for 2 hours or so. We could run down the CCT and loop back through Rock Creek Park/Conn/Wisconsin. For those who want to run an hour, we can craft a loop for you as well. Any interest? Come to the Chevy Chase Running Company on Saturday, June 19th to meet local running champion Mike Wardian. Mike is pound for pound, one the DC Region's greatest runners ever. He has run for many years at a high level and his range of distance covers the 5k to ultra marathons. He is a passionate runner, father and husband and does all of these endeavors while balancing a full time job. Come and learn about how and why he chooses to live his life this way. We will begin the day by meeting Mike and his family at the store at 830am. From there we will go on a nice and easy 45 minute run with Mike and the kids. Upon the conclusion of the run, Mike will entertain questions about his life and running. The run is free and open to all. There will be post run refreshments served. The Chevy Chase Running Company is located at 4461 Willard Ave in Chevy Chase, MD. It is a five minute walk from the Friendship Heights Metro and is across from Whole Foods. We again could run on the CCT; 3 miler down, 2 and 1 back. I suggest the team meet at Georgetown tomorrow morning for the long run and run with the Washington Running Club. This is a good club to know. They are growing and can be an ally for future events. Back in the day they fielded one of the best teams around. Just to give you an idea, Jim Hage was probably their 5th best guy and this was when he was very good. I think it would be good sportsmanship to run with them and then tack on your miles to make it 18. They run 10-12 anyway and its mostly in the shade. 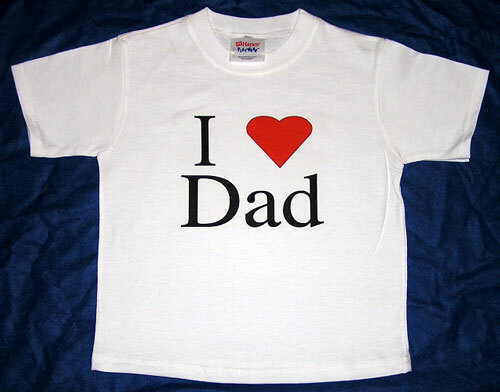 Also, if you show up in #s its an impressive show of unified force for the Father's Day 8k. they meet right next to the Library on M St. A block or so away from the store. Justice is served at the Lawyers Have Heart 10K this morning as GRCers drop the gavel on the competition. Joe Wiegner -- 31:38, PR and 2nd overall! I have an extra ticket to tonight’s Orioles –Mets game. I am going with Em and her family and I think we have pretty good seats. The ticket is free to whoever calls me first (215-859-8528). I might have to be a little late to the game since I’m working in Herndon. If you can come meet me in Grosvenor before and drive there together that is a big plus. The "Chicago Plan" calls for 18 miles on Sunday. It's going to be hot, so we should get it done early and we should have access to water on the run. We could do Greenbelt Park (6 mile loop in shaded trails x 3) and then hit that diner afterwards? Saturday at 2:30 (coverage starts at 1:30) I will be watching the US National Soccer Team take on powerhouse England in the World Cup at my apartment. If a few of you want to come over and join me (Chicken Tender Runner and PMurph already confirmed! 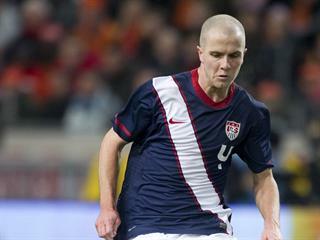 )you are welcome as long as you root wholeheartedly for the USA. I go a little bit insane for this stuff so be prepared if you decide to join us. My place is small but I'll set up a viewing area that could accomodate around 10 people. Please post if you are coming so I can prepare. I'll have a few beers and some snacks on hand but feel free to bring more. (215-859-8528) if you need to know more. I wanted to suggest a workout for Wednesday evening. We can still meet at BCC at 6:30 but I was thinking we could do a workout on the CCT instead of the track. I was thinking Fartlek or progression run. If Fartlek we could do a 5-4-3-2-1 workout (5min on/ 5min off, 4min on/ 4min off, 3min on/ 3min off, etc.). People could still have the option of doing a track workout if they want but this is what I'm leaning towards. I was looking for a more low-key comeback workout but open to suggestions. Please post if you can make it and what workout you want to do. Last Sunday Charlie Ban, Patricks Murphy and Huge (and sometimes a bare chested Matt Ernst) and I, handed out cold water and Gatorade at Fletcher's boat house to runners using the Towpath/CCT. While they downed their drinks we pitched the FD8K and collected email addresses. 95% of those who stopped and drank expressed interest in the race or at least provided us their email. Needless to say, this was very successful. It was also fun and good to "give back" to those using the trail. Listening to Charlie Ban's commentary was enough payback for me. This coming Saturday we are going to do the same thing and I need volunteers. This time we are going to have two groups; one will again meet at Fletcher's and the other will set up at/near the Watergate. I will head up the Fletcher's stop, but I need at least 3 volunteers to come and help me collect Gatorade powder, water and ice and then sit with me for a few hours handing out the goods. I also need someone to head up the Watergate water stop, preferably someone who helped at Fletcher's on Sunday and that person will also need 3 volunteers to assist. We also need two additional small pop-up tables (card tables) to put the drinks on (we have two already) at our second stop. Finally, we need a couple of individuals to linger around the finish line of the Lawyers Have Heart 10k and hand out fliers. Is there someone who can spearhead this? Depending on the weather, we can either run as a team AFTER we hand out water (circa 11am) or wait until the end of the day (which we did on Sunday). Please post in comments if you're able to assist. We need your help! Several of those who planned to attend the morning run at Riley's have changed plans. Sorry for the late notice. 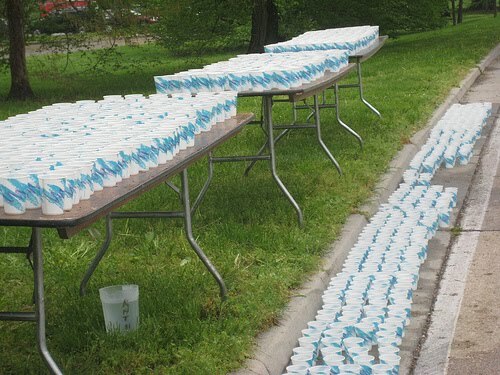 We will man a table at Fletcher's Cove (off the Clara Barton Parkway, on the canal and CCT) handing out water and Gatorade to runners all morning and promoting the Father's Day 8K. We should be all set for volunteers, but will not attend the morning run. Instead we will run in the evening in Rock Creek Park on the trails from The Line at 5PM, shooting for 15 miles. Everyone is welcome to run as planned at 8:30AM at Riley's, or with Klim, Hughes, Murphy, et al at The Line at 5:00PM. 12:54 for Lagat, new AR!! Hey guys, I will be at the store Saturday morning to collect "gently" used shoes for a shoe drive for impoverished nations. Just take a minute to look around your house and throw them in your running bag - I will really appreciate it. Newsflash: Chicken Tender Runner spots RATTLESNAKE during epic 8.5 mile training run in CA-thankfully he had some tenders on hand and sacrificed one at the snake to distract it..he also ran right next to the Hollywood sign! In Florida, I had to watch out for them GATORS! This is a great story that first aired during the Nagano Olympics back in...well, I am not sure. I watched it in class and just happened upon it again when reading an article on LetsRun. ...see the calendar on the excel spreadsheet. Though nothing specific is scheduled for this weekend, I will be at both runs (10 on Sat, 16 on Sun). I might "throw something in" on Sunday. Any suggestions on a Sunday run? Riley's Lock? I know several are coming off some down time but Karl and I are going to run a strength oriented workout tomorrow... We have talked about tempo or some longer intervals. If we tempo, we were planning on hitting the CCT (out and back)... I propose 5 mile tempo if we go that route... if people want to stay on the track and BCC... I wouldn't mind running a 3 x 2 mile workout. AS always, all suggestions welcome. Monday was one of those days when there are not enough hours in the day... I had to get to work a bit early, had to work through my prep periods to prepare for a camp presentation and that also overflowed past dismissal where I was unable to get out for my run... I had a meeting from 4pm-9:15pm... The word exhausted does not even fit in this situation... i was dead. But, i still got out at 9:55 and got in an easy 45 minutes (6 miles I called it). 2.5 mile cool down for a total of 12 miles (6 quality). A bizarre name for a hot race. Listen, this is the hottest race(laterally), of the summer. maybe not but its close. Bottom line, this race has historic significance. I remember running it in 1999 back when Philippe Rolly was 25 or something and used to win all of these races. I remember all of these crazy guys running it like shirtless Chuck Moeser and then this skinny guy named Wilson came around and won and then Gurmessa and then, low and behold, the talkative Aaron Church came back from the past to claim the crown. The run used to go somewhere towards the World Bank and so on. Now the course is is back and forth on Canal road right by the Georgetown store. This had to be changed to a .gif for their website, and I had a spelling error, so I sent them the new one. Let's give it up for our very own Jake Marren who over the weekend proposed to his long-term girlfriend, Ella. Our cider making, banjo plucking, snow drift shuffling esquire took the big plunge after months of rumors and innuendo.